The Samsung Galaxy S6, Samsung Galaxy S6 edge, Samsung Galaxy S6 edge+ and Samsung Galaxy Note 5 all are powered by the Exynos 7420 chipset. And so is the Meizu PRO 5. If a rumor out of China is legit, for 2016 Samsung could be producing a separate high-end chip to sell to other handset manufacturers. 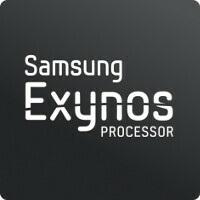 The Exynos 8890 is expected to be the chipset employed by Sammy this year for its high-end mobile devices. The rumor we alluded to earlier is about the Exynos 8870. This allegedly is a high-end chip that offers lower clock speeds when compared to the Exynos 8890 SoC. It also happened to produce a single-core benchmark score on Geekbench in the neighborhood of 2000, which compares to the 2270 scored by the Exynos 8890 on the same test. So far, Meizu's name comes up as a possible candidate to purchase the Exynos 8870 SoC. The rumor adds that we could see the chip powering a Meizu PRO 6 and Meizu PRO 6 mini by the second quarter of next year. Considering that we have yet to hear anything about this from Samsung and Meizu, you might want to take this rumor with the proverbial grain of salt. Sounds like it'll be better for battery life if it's just a lower clocked version of the 8890. 2000 single core is amazing as it is. I'd take it. Ikr If The 2016 A7 Comes With This I Might Just Get It Over The S7. Great.. More trouble for qualcomm.. Hope Sony, htc and the likes of others employs Samsung chips on atleast some of their models next year. Sounds like competition for S652. The true mobile leader is the GPU. All hail King Adreno 530 and Queen T880 MP12! Wow that phone looks a lot like someone else's phone, yet they aren't being sued. Amazing! well, looks like the gap with mid-range and flagships, just got a bit smaller with Samsung providing its chips to other OEM's. Samsung keeps this up, they will be helping other OEM's have just as good of a phone as they themselves have. 2016 is going to be an amazing year for phone battles. It does, but HTC aren't all that litigious. I wish samsung do this with Exynos 8890. I'd like to see some xiaomi device with it like for example Mi note 2 with 8890. That would be sick, highly unlikely doe. Hope to see this chip on moto x play or G .